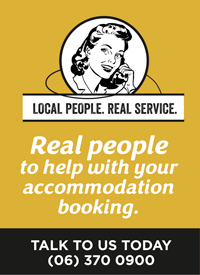 It's going to be at a new venue, Clareville Showgrounds. This is a terrific family event - free entry for kids under 15 and entry for adults just $10. There'll be food and drinks available. You'll see rare, private collections of machinery in action in farming demonstrations. Get up close to machines restored by hand to original working condition. Discover how wheat was harvested 100 years ago with man power and horse power! One of the highlights of the rally will be the harvesting of a specially planted wheat field. The harvesting, threshing and milling process will all be done by vintage machinery - a sight well worth seeing. Magnificent draft horses will harvest a wheat crop with a binder and a Clayton Shuttleworth mill will be working. 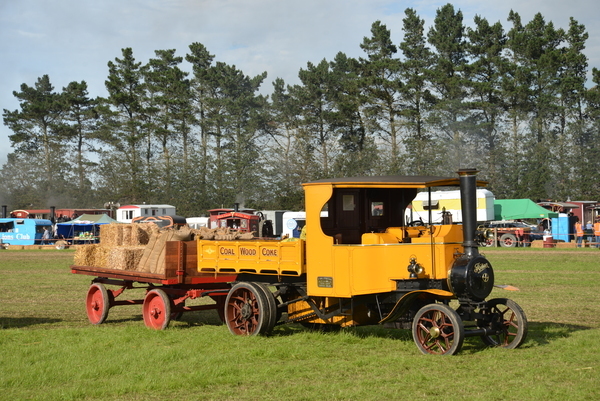 Also on display will be vintage trucks, tractors, stationary engines and farming memorabilia from private collections. See the rare Foden steam lorry which for almost 30 years was a familair sight inthe Wairarapa.The six ton, C-type wagon was based in Cornwall Street, Masterton between 1925 to 1958 and was often seen carrying metal for roads, firewood for families and wool from farms to awaiting trains at the railway station. The wagon is a rare piece of machinery - in fact it is the only working one of its type in New Zealand - and has been completely restored and painted bright yellow. 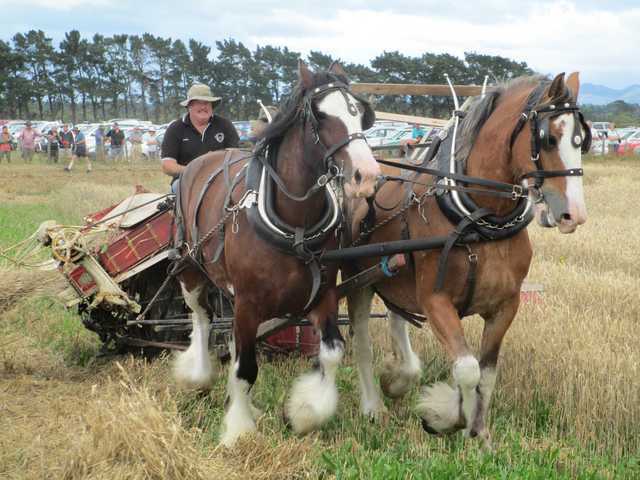 Now based in the South Island it will be the star attraction at the Wairarapa Vintage Machinery Club’s Harvest Rally. 9.40am Unload and un-roll round bales. 10.40am Alison Aero engine start up. Sheep shearing. Fleece to garment competition. 12.00 Mid-day Bale Accumulator Demonstration. 1.00pm Threshing mill and stationary baler. Helicopter Rides. Weather conditions may affect times. Inside the Sports Stadium see a range of displays: Model engineers,vintage cars, horse drawn carriages, horse drawn farm implements, vintage motor cycles,and model cars. Please note - no dogs are allowed. Also no smoking. Like to exhibit at the rally? The deadline has past but applications are still being accepted - you do need to register and here is the form to use. EFTPOS available at the gate and free parking.